I love the tastes and flavors of the fall season. Warm cider. A slice of pumpkin pie. Apples covered in caramel. Squash seasoned with butter. Do I need to go on? 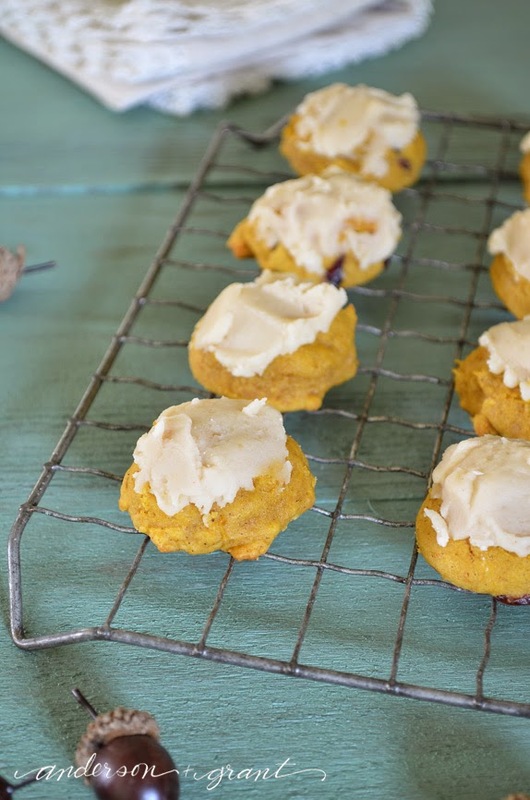 And at the top of my list of favorites for autumn is pumpkin cookies. For me, they just scream fall. 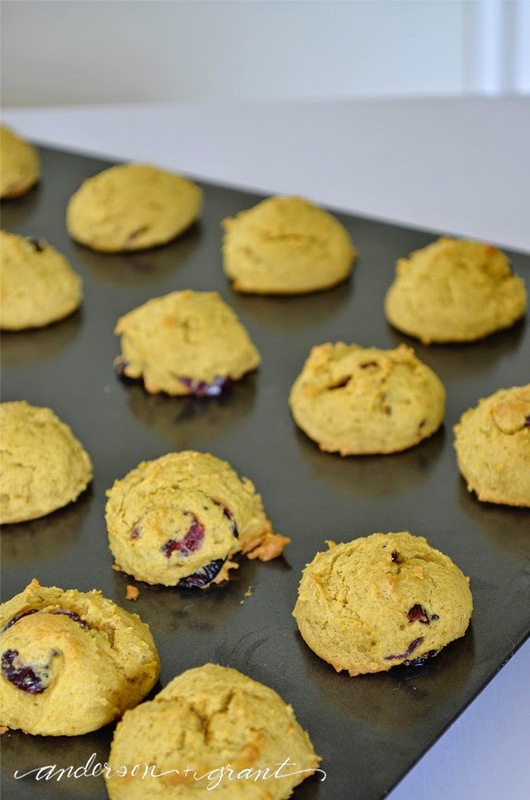 Today I'm adapting an old family recipe a bit to make these cranberry pumpkin cookies. 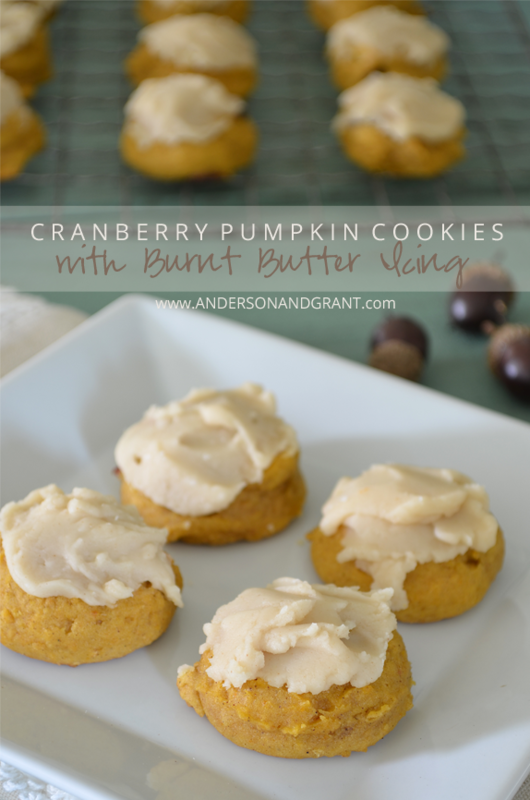 They are soft, chewy, and practically melt-in-your-mouth.....the perfect combination for a delicious cookie! This recipe is incredibly easy to make. Nothing more needs done than mixing, scooping, and baking. No chilling and no rolling. They literally take just minutes to prepare. 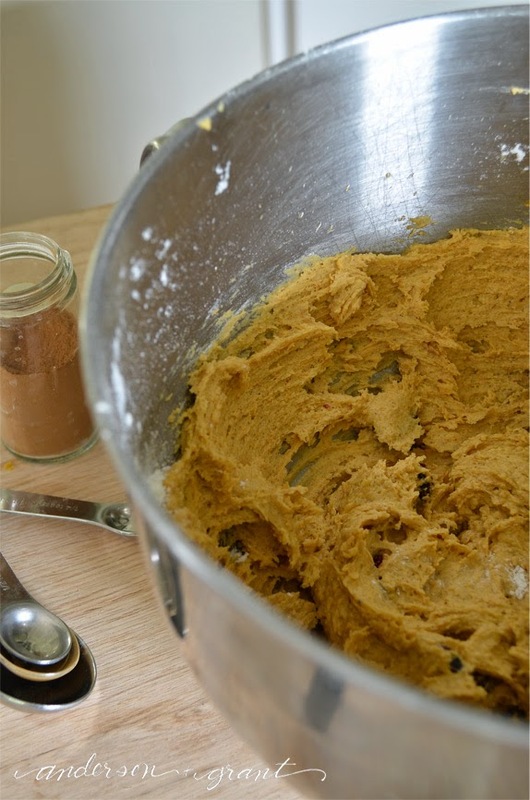 And to top the cookies is a delicious burnt butter icing. Believe me, the icing completes the flavor of the cookies. Ok...enough talking! Let's get baking! Mix sugar, pumpkin, shortening, and orange peel. This can be done in a mixer or by hand. Add the flour, baking powder, baking soda, cinnamon, and salt. Fold in the cranberries. 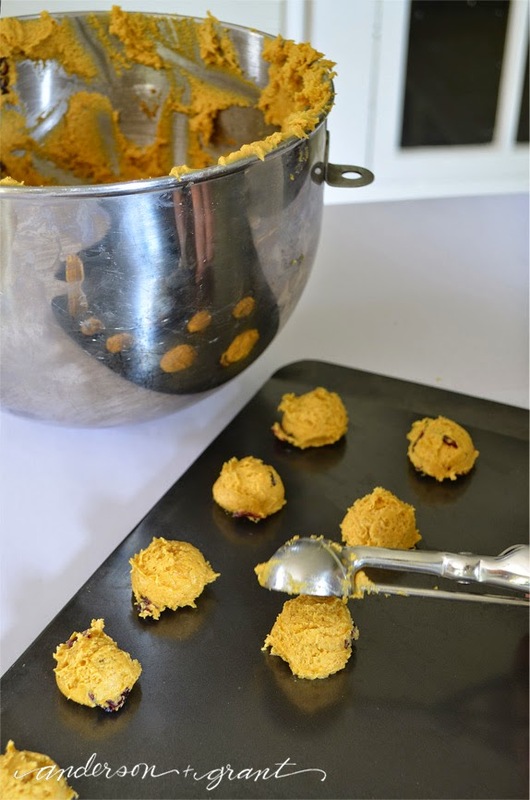 Using a small ice cream scoop, scoop out the dough and drop the balls onto an ungreased cookie sheet. (The ice cream scoop makes all the cookies a uniform size easily, but you can also use a teaspoon). The balls of dough can be placed closely together because the cookies do not expand much. I made the entire batch of 60 cookies on just two cookie sheets. Bake until the cookies are light brown, about 9 to 10 minutes. Immediately remove them from the cookie sheet and cool completely on a wire rack. Heat the margarine in a saucepan over medium heat until it is a golden brown color. Stir in the powdered sugar and vanilla. Add just enough milk to make a smooth frosting. If the frosting starts to get thick as you frost the cookies, add just a little more milk. Don't they look amazing? Seriously, my mouth is watering just typing this post! 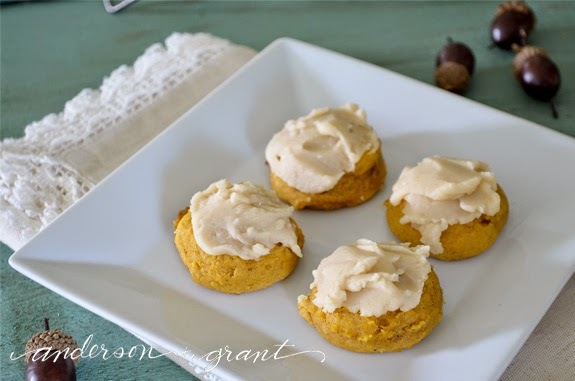 They not only are filled with a great fall flavor, but you're house will smell like fall after baking a batch of them! 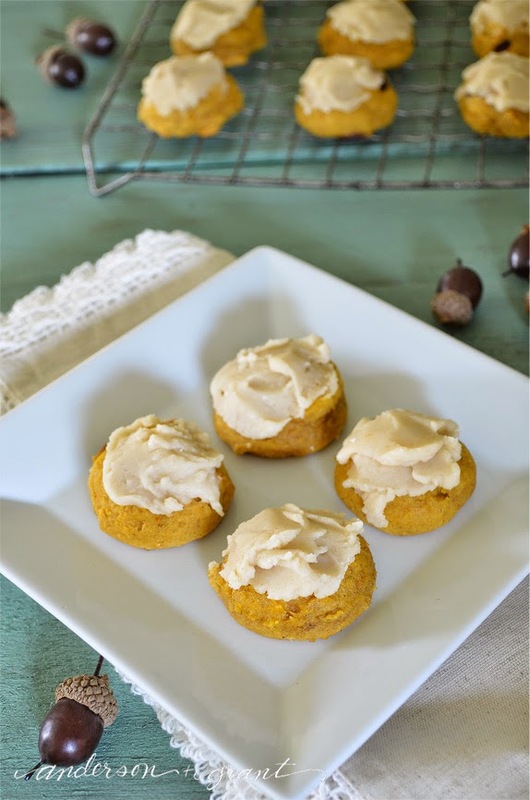 What are your must-have cookies for fall?